Winners of the 11th cycle of the Ras Al Khaimah (RAK) Educational Excellence Award have been announced on November 23rd at the RAK Centre of the Ministry of Culture, Youth and Community Development, under the patronage of His Highness Sheikh Saud bin Saqr Al Qasimi, Supreme Council Member and Ruler of Ras Al Khaimah. 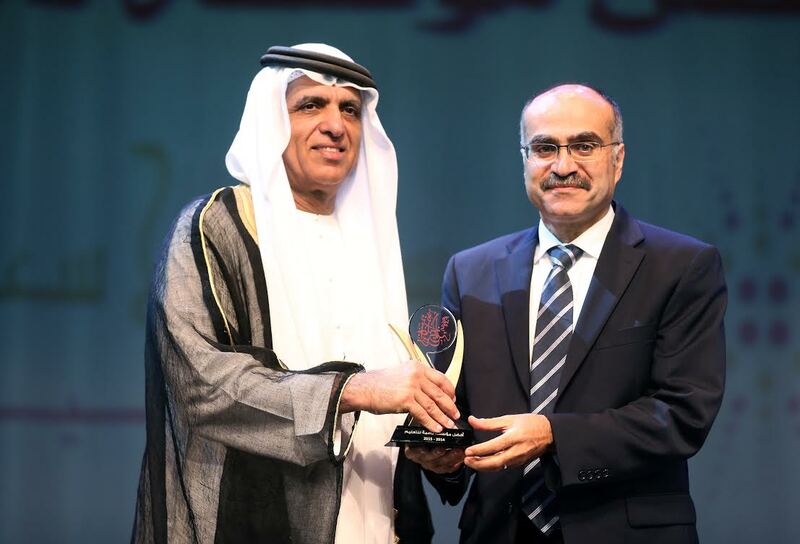 Julphar, represented by its CEO Dr. Ayman Sahli has been awarded twice during the ceremony. The company has received the Award for the Best Supporting Foundation for Education and the Award for the Best Strategic Sponsor. Julphar received the Awards in recognition of its excellent role for the community, as the company yearly dedicates 2.5% of its profits to the community, including students by providing them with scholarships fund, and launches sponsorship projects to serve educational purposes. Julphar opened its doors on several occasions to various students from universities, pharmacy faculties and nursing schools to allow them to get hands-on training and experience. Julphar also provided support to the Ministry of Education, facilitating the issuance of the first specialized field guide called "United Arab Emirates Teaching Guide". This guide is now considered as an important reference in the field and shows the extent of the educational and cultural development in the UAE.